Action to protect residents at a care home in Luton is being taken by the Care Quality Commission (CQC) following another inadequate rating. 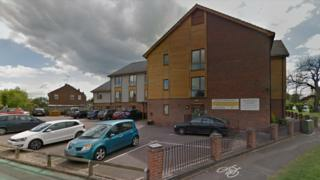 Mulberry Court, which has been the subject of abuse allegations, has been in special measures since the summer. The CQC has now found the home inadequate in all aspects and improvements had not been made since the last inspection. Runwood Homes, which runs the facility, said it had "developed an action plan". The home, which specialises in care for people with dementia, physical disabilities and sensory impairments, was put in special measures by the CQC following a damning report in May 2018. Luton Borough Council is also conducting an "urgent investigation" after confirming that 87-year-old Kenneth Savage suffered abuse there in 2018. The latest report, following an inspection in January, rated the home "inadequate" overall, as well as in individual categories of safety, effectiveness, caring, responsiveness and leadership. Inspectors found the provider had "failed to achieve" a previously-agreed action plan for improvement and new concerns had been identified. The report said there was a risk of harm over the way residents' medicines were kept and there was a lack of systems to prevent falls. Staff were unsure where to report any potential abuse with one suggesting they would contact the Citizens Advice Bureau. It also found one person, who had harmed others and themselves, was not being properly monitored. The CQC statement said it was "taking action to protect the safety and welfare" of residents, but "our legal processes do not allow us to go in to further detail" and new admissions to the home were already being restricted. Runwood Homes said it was working to "ensure all areas highlighted are rapidly addressed". "We will endeavour to very quickly restore full confidence in our service with intense focus and long-term monitoring to support best practice," a statement said. It added it had developed an action plan which "evidences improvements and builds the sustainability that comes with a new management team". Luton Council, which has responsibility for care homes in its district, said it continued to take all concerns raised "very seriously" and "high levels of monitoring" remained in place.